You will find the impressive Brunella fortress, commissioned by Giovanni delle Bande Nere (Giovanni di Medici - captain of a light infantry band that was famous in all of Italy) and invaded only once by Spanish troops towards the end of the XVIII. 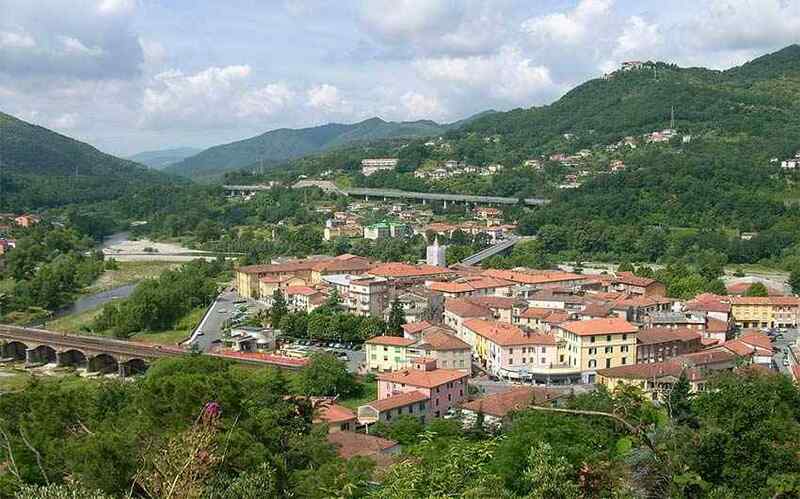 Districts to be visited: on the pass: Bibola; Pallerone, with was is left of the village, the restored church which holds the electromechanic Christmas crib. Caprigliola, famous because of its “boat” shape, with its medieval tower of the bishops and its fortification built by the di Medici; do not miss for anything the visit of the sanctuary of the Madonna of the Angels (Madonna degli Angeli). Strategically situated, the Brunella Fortress dominates the town of Aulla and the confluence of the Aulla and Magra rivers. It once controlled the access routes linking the inland valleys of the Lunigiana to Via Franchigena in a key point between the inland mountain passes and the coast. 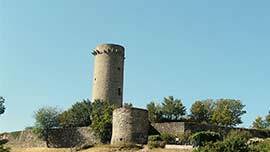 This fortress is the most efficiently designed military structure ever built in the Lunigiana. Its great defensibility was achieved through a splendidly close fusion between the fortified buildings and the underlying rock spur on which they stand. Vestiges of the first nucleus, especially evident at the late 13th or early 14th century. It was around these original structures that the castle was built during the so-called "transition" period of the late 15th century when defensive design needed to meet the demands of new military tactics and technologies. In fact, its design and several of its architectural details exemplify the advancing theories of the art of fortification: the aim was to transform castles, fortresses and city walls in response to the greater damage which a 13th-century assaulting artillery was capable of inflicting on defensive redoubts.Though the architect of the Brunella Fortress is not known with certainty, its many similarities to the Fortress of Civita Castellana, known to have been designed and built by Antonio da Sangallo il Vecchio (the Elder), make it quite likely that he was responsible for the Brunella Fortress as well.